The Omni 7050 Double Sided Body Mounting Tape is a high-performance PE foam tape, designed for fixing decoration profiles and plates therefore commonly used in the car repair industry. This double-sided tape has an aggressive solvent based acrylic adhesive. 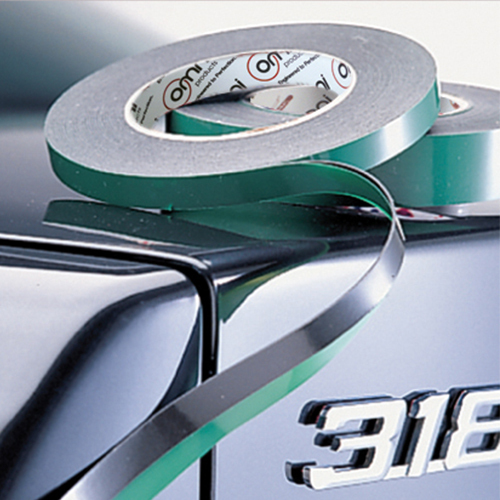 This Double Sided Tape is used widely in the Automotive to securely mount Emblem, Badge, Trims etc.